A selection of mouth watering Mustards to tempt the most jaded of palates. 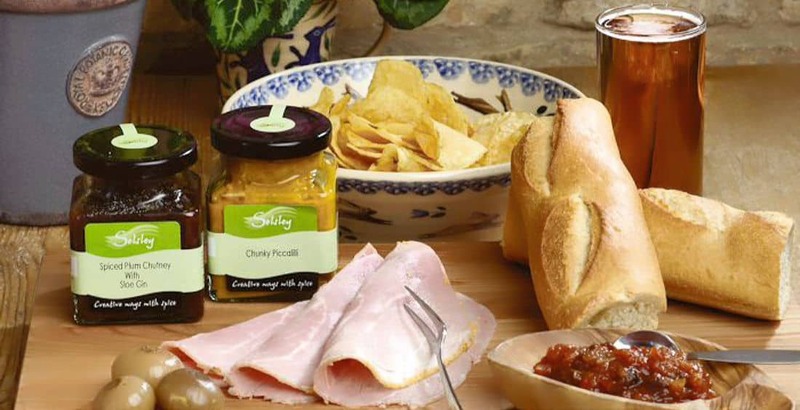 Our Tewkesbury mustard is just the ticket to add some zing to cheese or ham … and added to cooking it will add flavour and tang to any dish. A coarse grain mustard with an instant appeal to all those who enjoy the taste of garlic. Wonderful with roasted vegetables and as an addition to mayonnaise and vinaigrette. A coarse grain mustard with chillies, for those who enjoy an extra fiery kick to their mustard. Very good with all meats but sends a banger into orbit. This wonderful product is full of flavour; sun dried tomatoes and olives form the basis of this tapenade, Stir into pasta, mix with yoghurt or mayonnaise for a sensational dip or spread on savoury biscuits and top with an olive and a basil leaf. Originally this smooth mustard was made from mustard powder and horseradish root and made into balls which were then dried to aid preservation. It disappeared for many years and was re-created for the 850th anniversary of the consecration of Tewkesbury Abbey in 1971. There is even evidence that this hot mustard gave its name to early incendiary devices, known as fire balls. This mustard adds warmth to casseroles, sauces and enlivens the most humble sandwich.